A rare tumbler, seldom coming up for sale. This one was photographed while in the collection of the late John Britt. A mug and vase are also known. 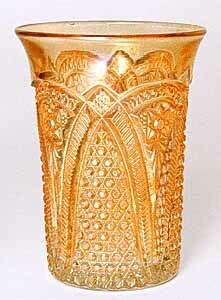 The pattern is found in an extensive line of crystal glass.